"DGT played some very fine clay court tennis last week in Monte-Carlo and pushed Pablo Cuevas right to the limit in a three tie-break defeat to the Uruguayan after thrashing eventual lucky loser quarter finalist Marcel Granollers." It's back to the bread and butter of the ATP World Tour in week 16 and these ATP 250 and 500 tournaments tend to offer much more betting value than the Masters 1000s. It's rare that one of Djokovic, Murray, Nadal or Federer don't win a Masters 1000 and that was the case yet again last week, although with Djokovic falling at the first hurdle it was Nadal who took his chance well. And the Spaniard managed to land what had seemed an unlikely winner for us on Sunday when he ended up covering the -4.5 games handicap over Gael Monfils with a 6-0 final set. I said in my preview of that one that we could well see a 6-0 or 6-1 set in it and sure enough Monfils ran out of gas in spectacular style in the decider. Nadal is back in action straight away at the Barcelona Open and he looks the likely winner there, but over at the BRD Nastase Tiriac Trophy in Romania we usually get a decent-priced winner. We managed to find that winner last season with a victory for [15.0] chance Guillermo Garcia-Lopez and he's back to defend his title as number four seed in what looks another very open contest. I think we can rule out top seeds Bernard Tomic and Ivo Karlovic, with Tomic dire on clay and Karlovic looking very rusty last week against Joao Sousa in Monte-Carlo. Slow clay is hardly the best of surfaces for Tomic and Karlovic and in the top half I like the look of Spaniards Fernando Verdasco and Daniel Gimeno-Traver. Verdasco's toughest opponent is likely to be Paul-Henri Mathieu in that quarter of the draw, but Nando has a 6-0 career series lead over PHM and the man from Madrid seems the rightful favourite in that section. The lefty has been playing well, but the old Achilles heel of losing matches he should win has been hokding him back again, however at this level he should go well by using his power to hit through the slow conditions. Garcia-Lopez could find himself taken down early this year if his old rival Lukas Rosol finds the form that saw him win here a few years ago and that could open up the draw for Gimeno-Traver, who has a very winnable round one match himself. 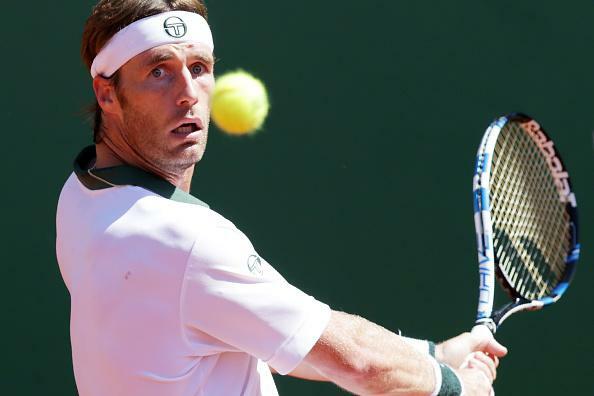 DGT played some very fine clay court tennis last week in Monte-Carlo and pushed Pablo Cuevas right to the limit in a three tie-break defeat to the Uruguayan after thrashing eventual lucky loser quarter finalist Marcel Granollers. I tipped DGT in these pages for Casablanca a few weeks ago and this week and next are seemingly the best opportunities for the Spaniard to grab a tour level title or make a final. Guido Pella could be a stumbling block for DGT, but the Argentine has looked jaded in recent weeks and was moaning about the length of the tour again the other day. A loss to Pierre-Hugues Herbert in straight sets doesn't make for good reading on clay and Pella's price of [17.0] looks short enough and DGT at twice the price is preferred. Gimeno-Traver is one of those clay courters that you have to catch when they're in form, as it won't last long, and I'm pretty sure he has a good week in him somewhere soon. In the bottom half Marcos Baghdatis and Karlovic are worth opposing, with Baggy not much of a clay courter at the best of times and this looks another decent opportunity for Federico Delbonis. The Argentine, who won in Casablanca a fortnight ago, has a great draw, with Damir Dzumhur perhaps likely to prove his toughest opponent. Dzumhur could get hit off the court by wild card Marius Copil first up, but he has the kind of solid game to go deep at this sort of event and his confidence will be high after some fine recent wins. Also in form is Lucas Pouille, who joins Dusan Lajovic, Paulo Lorenzi, Diego Schwartzman and Taro Daniel as possible winners of the remaining quarter - that of Karlovic. At the prices I'd take Lajovic there, with his 2-0 career series lead over Pouille and at twice the Frenchman's price at around [50.0] the Serb looks to hold the most value there. Over in Barcelona it looks likely that Nadal will be on a roll now, but in the bottom half the erratic Benoit Paire could go well if he isn't still in a sulk about throwing it away against Andy Murray in Monte-Carlo. Richard Gasquet is the likely stumbling block in that one for Paire, but he could be a value alternative to the obvious choice of Kei Nishikori if he's on a good week.